The Missile Defense Agency (MDA) is an agency of the United States Department of Defense. It traces its origins to before the end of the Cold War, when the U.S. greatly feared nuclear missile attacks from the USSR. Although it has gone through some changes along the way, the agency’s purpose still revolves around the research, development, and testing of various missile defense programs. The goal is to develop an impenetrable defense of the United States from any form of missile attack. While it has spent $80 billion on this mission since 2002, and expects to spend another $44 billion by 2016, its relevance and success in accuracy have been questioned. The agency has its origins from the Strategic Defense Initiative (SDI) which was proposed in 1983 by President Ronald Reagan. The Strategic Defense Initiative Organization (SDIO) was set up in 1984 within the United States Department of Defense to oversee SDI, the purpose of which was to create a space-based “shield” to protect the U.S. from nuclear missile attack. Specifically, the idea was to use lasers in outer space to shoot down approaching Soviet ICBMs. Widely criticized as unfeasible and more akin to science fiction, it gained the popular name Star Wars after the 1977 movie by George Lucas. After more than two years of research, SDIO contracted for the building of a missile defense system. By 1987, its work expanded to include a ground-based weapons system, part of an overall battle management concept called Strategic Defense System Phase I Architecture (pdf). A 1990 review of SDI initiated by President George H.W. Bush determined that the end of the Cold War would lead to a greater threat from terrorists and unauthorized attacks using short-range missiles. In 1991, the first-ever engagement between a ballistic missile and a missile defense system occurred when Saddam Hussein’s Scud missiles, fired at Israel and Saudi Arabia, were countered with the American Patriot. That conflict, coupled with the SDI review, altered the focus of SDI from defense against attacks on North America to theater defense through a program called Global Protection Against Limited Strikes. Weapons systems developed under SDIO included ground-based programs, direct-energy weapons (X-ray and chemical lasers, neutral particle beam, and rail gun), space-based programs (Brilliant Pebbles), and sensor programs (Brilliant Eyes, and Boost/Space Surveillance). Under the administration of President Bill Clinton in 1993, the SDIO’s name was changed to the Ballistic Missile Defense Organization (BMDO), which had been the name of another agency within the Defense Department since 1974. The new BMDO continued the agency’s shift from national missile defense to theater missile defense; from global to regional coverage, using primarily ground-based interceptor technology. The advanced Patriot system was upgraded with a new hit-to-kill missile interceptor, the ERINT (Extended Range Interceptor), which replaced the previous interceptors that used nuclear or conventional explosives in its warheads. In 1994, the agency teamed with NASA to launch a space vehicle, Clementine, to the Moon to test BMDO’s latest space reconnaissance equipment. The mission resulted in the discovery of ice at the Moon’s south pole. In 1998, BMDO’s focus shifted back to national defense as protection against potential attacks from North Korea or accidental missile launches against the U.S. by China or Russia. In 2002, the BMDO was renamed the Missile Defense Agency and, within two years, its mission approach was reconstituted with a layered defense system designed to attack missiles of all ranges during every phase of their flight. By the end of 2004, MDA activated its Ballistic Missile Defense System with PAC-3 short-range interceptors, Aegis SM-3 medium-range weapons, and five long-range Ground-based Midcourse Defense (GMD) interceptors. The Bush and Obama administrations have since deployed upgraded versions of the SM-3 and GMD to supplement NATO defense systems in Europe. Given the high cost of providing a full European missile shield, a congressional committee, in April 2012, voted to withhold 25% of project funding pending funding contribution commitments from NATO allies. In the face of Russian opposition to installing U.S. missile defense in Eastern Europe, President Obama dropped plans for such deployment in 2009, but subsequently reversed himself, raising the ire of Russian leaders and the possibility of election-year posturing. As of 2012, Pentagon advisers and investigators report mixed findings on the status of the U.S. missile defense system. President Obama claims that the current system is more effective than that which was under development during the Bush administration because it is based on tested, cost-effective technologies. However, reports—such as one released in 2011 by the Defense Science Board—shed doubt on those claims, citing cost overruns, delays, and technical problems, including underpowered radar and the inability of sensors to distinguish between real enemy warheads and decoy objects. 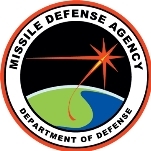 The stated purpose of the MDA is to develop and field a Ballistic Missile Defense System (BMDS) to defend the United States, its deployed forces, friends, and allies against ballistic missiles of all ranges in all phases of flight. The goals include improvement of the depth, range and reliability of defenses and the provision of options to address uncertainty and surprise in the future. For more than four decades, engineers have been developing and testing variations of a missile defense shield to protect U.S. cities from nuclear combat. Site locations for the MDA include Huntsville, Alabama, Washington D.C., Colorado Springs, Colorado, Los Angeles, California, and Fort Greely, Alaska. When speaking of a layered defense, the MDA is referring to the different levels and stages in which it has the opportunity to kill an enemy missile. When a missile goes through flight, it goes through four basic phases. It begins with a boost, or power, phase, followed by the ascent phase. Then it coasts during the mid-course phase, followed by the terminal phase, which is usually re-entry into the atmosphere. The MDA wants to build defenses in each one of those phases in an integrated, layered fashion. The GBI is a weapon of the Ground-Based Midcourse Defense (GMD), formerly known as the National Missile Defense (NMD) system. Its mission is to intercept incoming ballistic missile warheads outside the earth’s atmosphere and destroy them by force of impact. Boeing is the prime contractor for the GMD Program. In May 2012, the House of Representatives voted to increase spending on the GMD system by $460 million beyond the $903 million requested by the Department of Defense. The bill authorizes $100 million of that total to study the deployment of missile interceptors on the U.S. East Coast by late 2015, a project estimated to cost $3.6 billion over five years. The Sea-Based X-Band Radar is a combination of advanced X-band radar with a mobile, ocean-going, semi-submersible platform that provides the Ballistic Missile Defense System with powerful and capable radar that can be positioned to cover any part of the globe. Raytheon Company was awarded a $32.7 million subcontract in January 2007 to provide sustainment support for the X- Band Radar (XBR) portion of the Sea-Based X-Band Radar (SBX). The award was made by Boeing Integrated Defense Systems. Aegis BMD (also known as Sea-Based Midcourse) is designed to intercept ballistic missiles post-boost phase and prior to reentry. The MDA gave Lockheed Martin a $40.4 million contract to provide ballistic missile defense capability to a Japanese Aegis-equipped destroyer (January 2008). As of May 2012, the Aegis BMD is deployed on 24 U.S. Navy ships, including 16 in the Pacific Fleet and eight in the Atlantic Fleet. Ten BMD-capable ships will be added in FY 2012 and FY 2013, and by FY 2016 the total is expected to reach 41. The THAAD is planned to be the only missile made that could destroy a target in or out of the earth’s atmosphere. The THAAD program began flight testing in November 2005. In June 2012, Lockheed Martin won a $2.02 billion preliminary contract for 42 THAAD interceptor missiles. According to the contractor, there have previously been 12 THAAD flight tests, with nine out of nine successful intercepts, including intercepts of two different targets in a single test in October 2011. They claim that in 2007 the first flight test demonstrated THAAD’s ability to “intercept a threat representative target in the high endo-atmosphere.” According to the Lockheed Martin’s Web site, destroying warheads in the terminal phase does not eliminate all problems or challenges. Although it might prove true that in a few years three THAAD systems can provide area defense for the entire West Coast, some debris from a destroyed missile warhead will hit the ground. This means missile interception does not necessarily eliminate the threat from the debris, particularly if a destroyed warhead contains residue of weapons of mass destruction. We must assume the incoming debris creates a consequence management problem. Chemical weapons are normally rendered impotent by heat or widely dispersed so they do not pose a major threat, but nuclear materials and agents, such as anthrax, can pose a lingering challenge to first responders. Orbital Sciences Corporation was selected for this $19 million target launch vehicle contract in November 2003. It completed a successful launch of a Patriot Target Vehicle in March 2011. This system consists of a series of interoperable, low-Earth orbit satellites and supporting ground equipment for the detection and tracking of ballistic missiles. Data from the STSS will be used to allow the Ballistic Missile Defense System (BMDS) interceptors to engage ballistic missiles earlier in flight and pick out the warhead of an incoming missile from other nearby objects such as decoys. As the prime contractor for the STSS program, Northrop Grumman was previously awarded an $868 million contract from the Missile Defense Agency (MDA) to begin development of the STSS system. In 2002 Northrop Grumman subcontracted out to Raytheon Corporation in order to make preparations to provide the primary sensor payload for the STSS. Both companies signed a contract valued at approximately $200 million for the delivery of sensor payload. KEI was canceled in May 2009 due to budget constraints. It was to be a mobile, land-based missile-defense system that, when deployed, would destroy a threat during its boost, ascent, or midcourse phase of flight. Northrop Grumman had won the bid for developing and testing this capability. MKV was terminated in 2009 due to its “significant technical challenges and the need to take a fresh look at the requirement,” according to then-Secretary of Defense Robert M. Gates. “Kill Vehicles” are intended to destroy their targets by colliding with them in the midcourse of their trajectory, outside of Earth’s atmosphere. They use infrared sensors to accomplish this collision. In early 2004, the MDA awarded a system development contract to Lockheed Martin for the development of the Multiple Kill Vehicle program. In June 2004 Lockheed Martin subcontracted out development of the MKV program to L-3 Coleman Aerospace. The contracts were expected to be worth $274.2 million. This element consists of multiple sensors, a complex communications system, fire control capability, and ground-based interceptors capable of intercepting intermediate and long-range ballistic missile threats in their midcourse phase of flight. Boeing has been the prime contractor for this program since 1998. In January 2012, Boeing beat Lockheed Martin in winning the $3.48 billion seven-year contact from MDA. It had won a $397.9 million contract in December 2008 to develop, test and integrate all GMD components. This was the first time that such a contract required that the contractor will be held financially responsible for poor-quality parts. Holding a 53% success rate in testing, the Midcourse program had two consecutive test failures in 2010, one of which—at a cost of $300 million—failed due to a guidance error in a warhead made by subcontractor Raytheon. That failure was said to cost the Pentagon $1 billion to remedy. Other key subcontractors to Boeing have included Lockheed Martin and Orbital Sciences Corp., which supply interceptor boosters, and Northrop Grumman, which provides battle management. and to manage weapons systems. based element built upon the PATRIOT air and missile defense infrastructure. Program was canceled due to budget constraints. Lockheed Martin was the prime contractor for the MDA’s High Altitude Airship, a stratospheric airship prototype, which would have provided persistent surveillance along with other critical capabilities. The General Accountability Office (GAO) in 2012 expressed doubts about the capability of the missile defense system. After examining the program for a year, GAO experts said the Pentagon couldn’t be sure if the system would actually work in destroying missile threats. The government watchdog raised concerns about missile tests and the collection of data from such tests. The negative assessment followed another critique in 2010 by leading ballistic missile defense experts Drs. Theodore A. Postol and George N. Lewis and published in Arms Control Today. That analysis focused on the rocket-powered interceptor known as the SM-3, which had failed to destroy incoming warheads during 80% of its tests, according to the academics. Between 2011 and 2013, flight tests of the system were halted. In January 2013, the MDA carried out what it called a successful flight test, even though the trial did not even include a target missile for interception. During the 2012 presidential primary, Republican Newt Gingrich raised the specter of electromagnetic pulse (EMP) and its potential danger to the country. EMP was not a new concern. It first was raised in the 1960s, when the U.S. discovered that the detonating of a large nuclear weapon high up in the atmosphere could release a large wave of electrical energy. Ever since then, experts have debated whether EMP could be used as a weapon to knock out electrical systems, including those impacting banks, utilities, and telecommunications. Gingrich warned that EMP was a real danger if an enemy state, such as Iran or North Korea, managed to launch a nuclear missile and detonate it over the U.S.
“Millions would die in the first week alone,” Gingrich wrote in the foreword to One Second After, a science-fiction thriller by William Forstchen and William Sanders published in 2009, which described an imaginary EMP attack on the country. After 16 years of testing and $5 billion, the Missile Defense Agency (MDA) decided in early 2012 to scrap the Airborne Laser project. Consisting of a modified 747 equipped with multiple lasers, the Airborne Laser was designed to shoot down enemy missiles. But in trials, it never could shoot down a missile, so it never proved reliable enough for the MDA to keep around. The plane also was enormously expensive to fly, costing more than $90,000 an hour. So the agency sent the Airborne Laser packing to the Air Force’s “boneyard” in Arizona. A few months later, Republicans on the House Armed Services Committee’s Strategic Forces subcommittee tried to get the MDA to bring the Airborne Laser back. GOP lawmakers believed the plane might still have some use against North Korea’s “rapidly developing” missile capability. Conservatives created an uproar in 2010 over the MDA’s new logo, claiming it resembled the crescent moon and star symbols of Islam and the 2008 Obama campaign symbol. Still others said the MDA logo was too much like the one belonging to the Iranian Space Agency. TMP Government, a marketing and communications firm that designs government Web sites and logos, created the MDA branding symbol. Richard Lehner, an MDA spokesman, dismissed the comparisons. Philip Coyle, a U.S. expert opposed to the U.S. missile defense policy, says the anti-missile technology the U.S. wants to locate in Europe, including on Czech soil, has not been proven capable of defending Europe or Asia from an attack by Iran or North Korea. The reason for this failure is due to ineffective protection against long-range ballistic missiles. According to former Czech Prime Minister Mirek Topolanek, “We want to be among those countries that will be able to benefit from the results of the U.S. military industry and some of its technologies.” On the other hand, Slovakian Prime Minister, Robert Fico, announced, “We don’t see any reason for the defense shield to move to Europe.” In January 2008 the MDA sent its director, Lt. Gen. Henry A. “Trey” Obering III, to the Czech Republic and other European states to try to convince the governments there that they would benefit from MDA presence. Yet some Eastern Europeans probably fear becoming a target for missiles attacks due to the U.S. presence, instead of feeling protected. Plans for installing a $4-billion missile defense system in Europe were shelved in 2009 after President Barack Obama ordered a review that concluded that ship- and land-based systems (such as sea-based Aegis interceptors) located closer to Iran, a primary potential threat, could effectively counter any attack on Europe. Critics accused Obama of buckling under to Russian opposition to U.S. missile defenses stationed in Poland and the Czech Republic, but he insisted his actions were guided by a change in intelligence analyses. He subsequently reversed course and revived U.S. missile defense for Europe with a plan called the Phased Adaptive Approach. Although written assurances and a system-testing invitation had been offered five months earlier by the U.S., in March 2012 Russian President Dmitry Medvedev publicly demanded written proof (“technical-military criteria”) from the U.S. that his country would not be the ultimate target of the defense system. Days later during a nuclear summit meeting in South Korea with the Russian leader, Obama was caught on an open microphone privately assuring Medvedev that the situation will be resolved, explaining he’ll have more room to maneuver after he is re-elected in November. Medvedev responded that he would relay that message to incoming Russian President Vladimir Putin. Then in May, underscoring continued Russian anger over the U.S. anti-missile plans, a senior Russian general, Nikolai Makarov, raised the possibility of Russia launching pre-emptive attacks on such U.S. defense installations in Eastern Europe, the first time such a threat has been made. In protest over U.S. defense plans, Putin snubbed an invitation to attend a May 2012 NATO conference held in Chicago, where the alliance announced that it now has an “interim capability” for the U.S.-built Phased interceptor system. Some people feel that the MDA’s large budget robs the United States of funds that it needs for important real world crises. “An actual North Korean nuclear-tipped missile launch on the United States seems ‘highly unlikely,’” said Victoria Samson, a missile defense expert with the Washington-based Center for Defense Information. The budget is large and controversies have always surrounded talks of budget amendments each year. Proponents of the agency argue that safety from missile attack should be a high priority. Former Director of MDA Lt. General Obering stated, “It takes time to build these missile defenses. It takes time to develop this capability. So we think it’s prudent to try to stay ahead of this threat.” Opponents argue that there are other more valid threats of violence such as the events that occurred on 9/11, and that government funds could be better used for such programs as equitable education and health care. John Pike, a defense expert who runs GlobalSecurity.org, said that based on test results, the missile-defense system seems limited. “It can’t really take on decoys, and it hasn’t been all that stressed in testing,” Pike says. The margin for error is not measured in seconds, but in the milliseconds, creating a difficult challenge. The Missile Defense Agency’s system has been compared to hitting a bullet with a bullet. Those within the agency feel they are proving this possibility over time, while critics argue that it is a waste of valuable time and money. Newt Gingrich criticizes skeptics for dismissing the plentitude of previously unimaginable inventions in the last 250 years. He believes this missile defense system can be effective. In the early years of the Strategic Defense Initiative (SDI), the U.S. military was accused of rigging a test that successfully demonstrated the capabilities of a new interceptor. During 1983 and 1984, officials conducted four test launches in the Pacific involving a kinetic kill vehicle that was supposed to shoot down a Minuteman missile. The first three tests failed, but then in June 1984, the interceptor struck and brought down its target. Nearly 10 years later, The New York Times reported that the test had been rigged by adding a beacon to the target to help the interceptor locate it. The claim prompted the Department of Defense and the General Accounting Office to investigate. But both agencies disputed the newspaper’s account, finding flaws in the Times’ reporting, and ruled the test was valid. The Missile Defense Agency (MDA) agreed to implement reforms suggested by the Government Accountability Office (GAO) in 2012 after it found MDA’s strategy of simultaneously pursuing multiple preparatory phases for its missile defense systems had resulted in unnecessary delays of certain equipment. “For example, MDA’s flight test failures of a new variant of the Ground-based Midcourse Defense program’s interceptors while production was under way delayed delivery to the war fighter, increased costs, and will require retrofit of fielded equipment,” the GAO wrote in its report, adding the system’s trial expense had increased from $236 million to about $1 billion. The MDA agreed to six of seven guidelines provided by GAO investigators for curbing such practices and “partially agreed” with the remaining advisory statement. But McCain added that he was encouraged by the MDA’s decision at that time to withhold payments from contractors that were subpar. Should we continue to develop space-based weapons? As of now, the United States cannot stop a missile attack on a U.S. city, but with more research and development the country could prevent such a devastating attack. In congressional testimony, former MDA Director Lt. General Ronald Kadish argued that the test record for hit-to-kill missile defenses demonstrates that these missile defense systems will work, with an 88% kill rate. There is no threat of a missile attack, and therefore money should be spent to work against more likely attack scenarios. Besides, some say, certain problems in the success of defensive missile programs will never be solved. As of now, the United States cannot stop a missile attack on a U.S. city, but with more research and development we could prevent such a devastating attack. Con: There is no threat of a missile attack, and therefore money should be spent to aid in more likely attack scenarios. In recent Congressional testimony, MDA Director Lt. General Ronald Kadish argued that the test record for hit-to-kill missile defenses demonstrates that these missile defense systems will work, with an 88% kill rate. Some say that certain problems in the success of defensive missile programs will never be solved. In the wake of the dismissal of Lieutenant General Patrick O’Reilly as head of the Missile Defense Agency for outrageously abusive conduct toward his staff, President Obama has nominated Rear Admiral James D. Syring to be promoted to Vice Admiral and head the agency, which researches, develops, and tests missile defense programs. Syring takes the helm of an agency which, since its founding during the Reagan administration as the Strategic Defense Initiative, or “Star Wars” program, has had several high-profile failures and where O’Reilly’s tenure led to plummeting morale. The agency has an annual budget of $8 billion. As for O’Reilly, who is expected to leave in August, military rules require that he be demoted to major general if his departure occurs before the end of his expected four-year term in November, according to Pentagon officials. Born circa 1963, James Syring hails from Muncie, Indiana, where he graduated Northside High School in 1981. He earned a B.S. in Marine Engineering at the Naval Academy in Annapolis, Maryland, in 1985, and an M.S. in Mechanical Engineering from the Naval Post Graduate School in 1992. Commissioned as a Navy ensign upon graduating from Annapolis, Syring was designated an engineering duty officer. At sea, he qualified as a surface warfare officer on the USS Downes (FF 1070) where he served as auxiliaries, electrical and electronics material officer. Syring served as ship superintendent for the USS Port Royal (CG 73) and Aegis test officer for the new construction DDG 51 class ships on the staff of the supervisor of Shipbuilding in Pascagoula, Mississippi, from 1992 to 1996. Continuing his work on the DDG 51 class ships, which is the Navy’s first class of destroyer built around the Aegis Combat System and the SPY-1D multi-function phased array radar, Syring was combat systems, test and trials officer in the DDG 51 Aegis Shipbuilding Program Office from 1996 to 1999 and combat systems baseline manager at the Aegis Technical Division, responsible for new construction Aegis baseline computer program development from 1999 to 2001. Syring served as director for Surface Combatants in the Office of the Assistant Secretary of the Navy for Research, Development and Acquisition, where he provided advice on acquisition issues related to several classes of ships, including the CG 47 cruisers, DDG 51 destroyers, DDG 1000 destroyers and LCS class ships from 2001 to 2003. Syring served in the DDG 1000 Shipbuilding Program for the following seven years, first as technical director from 2003 to 2005, and then as program manager from 2005 to 2010. Since 2010, Syring has served as the program executive officer for Integrated Warfare Systems in the Naval Sea Systems Command. 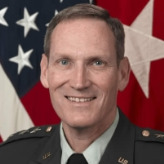 Lieutenant General Patrick J. O’Reilly is only the second U.S. Army commander to lead the Missile Defense Agency (MDA), which is charged with developing a viable system for protecting the United States and its interests from ballistic missile attacks. He has led the agency since November 21, 2008. O’Reilly was born in San Jose, California, and raised as an Army brat, which included time spent in Kansas and Texas. He graduated from the U.S. Military Academy at West Point and was commissioned in the U.S. Army Ordnance Corps. He later earned master’s degrees in physics, national security and strategic studies, and business. He is a graduate of the Command and Staff College, the U.S. Naval College of Command and Staff and the U.S. Army War College. During his career, which has included more than a decade working in missile defense, O’Reilly has served in both command and staff officer positions in a variety of operational units including the 1st Cavalry Division, the 3rd Support Command, Germany, and as an assistant professor of physics at the Military Academy. His next position was the Army Program Executive Officer for Combat Support and Combat Service Support, in charge of buying and maintaining wheeled vehicles. In September 2005 he took over as program director of the Ground-based Midcourse Defense (GMD) system. Prior to becoming the director of MDA, O’Reilly served two years as the agency’s deputy director, beginning in January 2007.